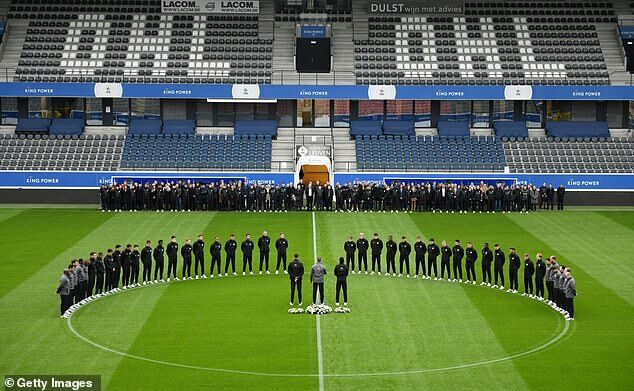 OH Leuven players and staff held an emotional ceremony at their stadium on Thursday to mourn the tragic death of club owner Vichai Srivaddhanaprabha. 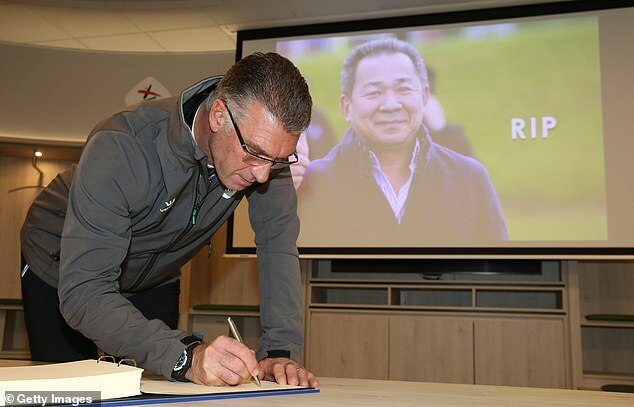 The Thai businessman, who also owned Leicester City, died along with four others in a devastating helicopter crash after the Foxes’ 1-1 draw at the King Power Stadium with West Ham last Saturday. Mr Srivaddhanaprabha, two of his staff and the aircraft’s two pilots were killed in the incident. Investigators began removing the wreckage from the scene on Thursday. 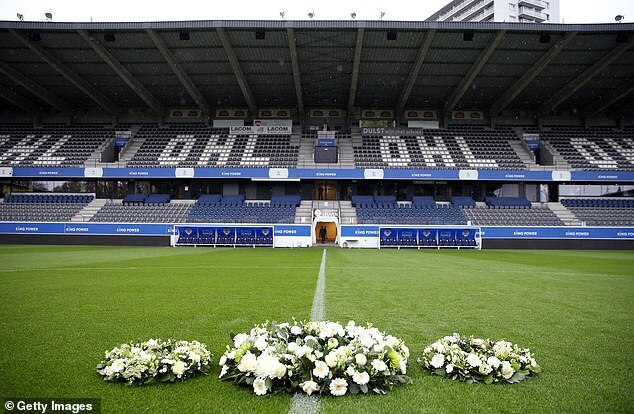 The Belgian side, managed by former Leicester boss Nigel Pearson, took to the pitch at their Den Dreef Stadion to hold a heartbreaking ceremony, similar to the one held by Claude Puel’s team earlier this week. 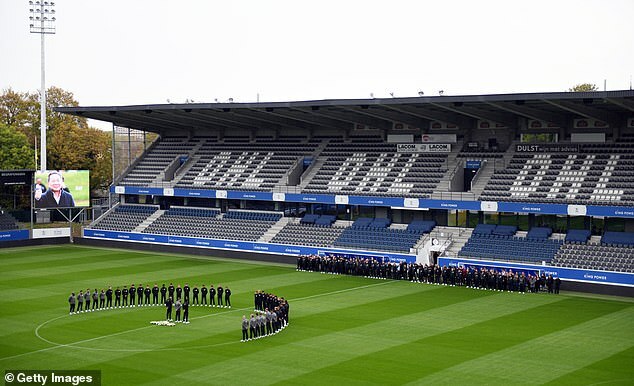 Pearson, captain Elliott Moore and Thai national keeper Kawin Thamsatchanan led the Leuven players and staff onto the pitch as they paid their respects. 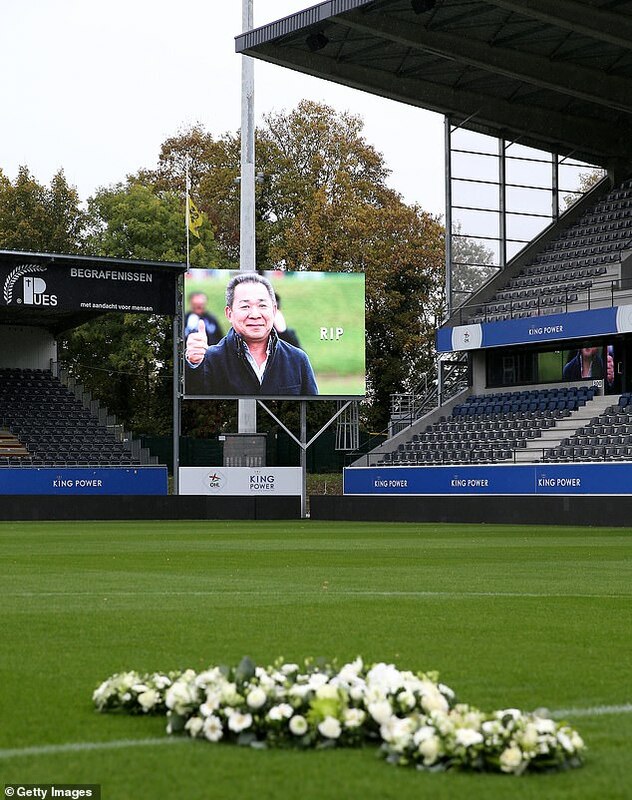 They stood around the centre circle with their heads bowed and took part in a minutes’ silence as a picture of Srivaddhanaprabha appeared on the stadium’s screens. During the 2016/17 season, with the club struggling financially, OH Leuven was taken over by the King Power International Group, led by the late Srivaddhanaprabha. Pearson found warm words on Tuesday for the man who brought him back to Leicester in 2011. Pearson won the Championship under Srivaddhanaprabha, before performing an unlikely rescue mission in the club’s first season back in the Premier League. He left the club in acrimonious circumstances in the summer of 2015 — with Claudio Ranieri coming in to win the title — but repaired the friendship and he now manages the Belgian side also owned by King Power. 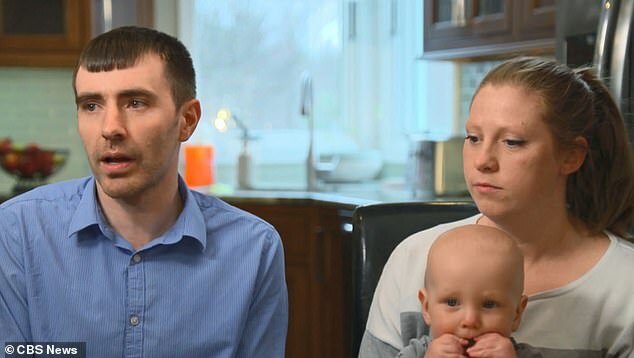 Posting on Leuven’s website earlier this week, Pearson said: ‘It is with extreme difficulty that I write to express my sincere condolences and support to the Srivaddhanaprabha and wider King Power family. His quiet yet authoritative aura, presence and personality have had an immeasurable influence on English football. ‘The leadership and managerial processes he instilled and encouraged within Leicester City has borne fruit in such a way that the world witnessed the impossible by seeing a club win the Premier League in the most incredible circumstances. ‘On a personal level, a manager could not have wished for a better boss. I have, through both good and difficult times, been afforded an unwavering support which has been a huge motivator and, in personally difficult times, a huge comfort.